Slacks or short have soft pleats at front waistline. Pockets concealed in the side seams, small pocket at right front and two back pockets. Belt carriers are stitched to waistband. 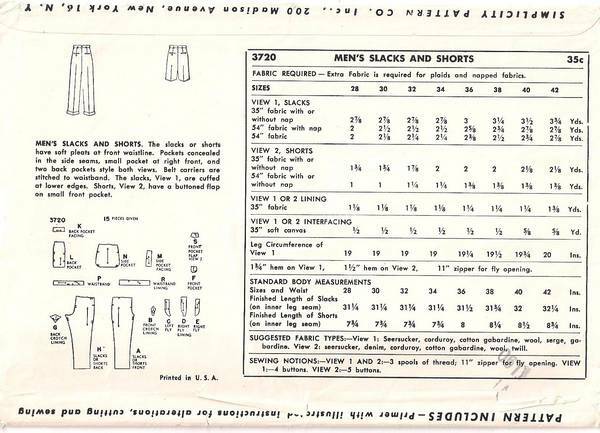 Slacks are cuffed at lower edge. Shorts have a buttoned flap on small front pocket. Waist Size 40; Inner Leg Seam 32.